There has been a long-running issue with Eclipse not fully supporting CVSNT (or maybe it is the other way round!). 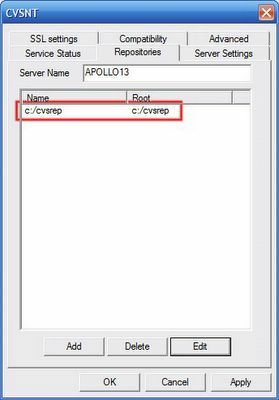 CVSNT is a fork of the UNIX CVS code, integrated more closely with Windows, and it doesn't quite work the same as vanilla CVS. When an issue arose way back in the mists of time between Eclipse and CVSNT, the Eclipse project decided to stop supporting CVSNT. I'm not claiming to know the history here, but I do know that there were Eclipse bugs raised - go have a look in bugzilla at eclipse.org. However - it can be made to work - and I've personally found no issues. Obtain one of the earlier version of CVSNT. Until recently, I used 2.0.51d. 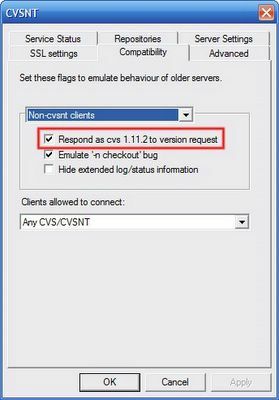 There are archived versions at http://www.cvsnt.org/archive/ - but it looks like the earliest version now available is 2.0.58. If you run one of these versions you will still see the error, but there is a CVSNT option "Act like a Unix server". If you set that option, the error will disappear.